If you’ve been playing for a while, chances are that you’ll have come across the terms ‘equal temperament’ or ‘just intonation’. Those of you of with classical training in one instrument or another may even dimly recall what these terms mean. Others may be rapidly moving towards the back button on their browsers, but please bear with me – you may find some of what I’m about to write useful! So, What on Earth is Temperament? The human ear (and that of many other mammals) perceives notes played exactly an octave apart (ie where one note has double the frequency of the other) as being essentially the same, except for one being higher or lower in pitch than the other. When we divide octaves into smaller intervals we encounter an issue, however. If we use the circle of pure fifths to create our intervals – that is to say, we define a gap of five notes as having a 3/2 frequency relationship with the preceding note, then create the next note by moving a pure fifth from there, and so on, we don’t, at the end of our cycle, reach a higher pitch version of the first note with which we started. The note we actually reach at the expected end of our cycle will, in fact, be slightly out of tune with the first note with which we started. This is called the spiral of fifths, and taken to its ultimate conclusion (albeit one that veers towards reductio ad absurdum) would result in an infinite number of different notes/frequencies. So, if we started on C, we would eventually end up, 12 steps later, at B#, which in tempered tunings would coincide with C (more on this later) but in this case doesn’t, due to the mathematical impossibility of fitting a stack of 3:2 intervals (pure fifths) exactly within a stack of 2:1 intervals (octaves). In fact, it is around a quarter of a semitone higher. The compromise made by the first major tuning system – Pythagorean tuning – was to use eleven pure fifths and one slightly lower fifth, known, strangely, as the ‘wolf’ interval. Pythagorean – Isn’t That All About Triangles? The Pythagoreans were an ancient Greek school of philosophy that had an obsession with maths and its relationship to the world around them. This obsession led them to investigate the relationship between musical intervals and mathematical ratios, as well as a whole host of other areas relating to geometry. This is where we get the two ratios of an octave (2:1) and a pure fifth (3:2) from; ratios that fitted perfectly with the notion of harmony, which was central to the Pythagorean’s view of the world. Unfortunately, these ratios also conspired to cause the musical issues outlined above. It’s interesting to note, at this point, that the pure fifth is the most consonant note, other than the octave, when sounded with the root note. The keys a pure fifth apart also have the strongest relationships with each other in terms of notes used (C Major and G Major, for example, share all but F# and F, respectively). Because of the wolf interval in Pythagorean tuning, whilst keys that avoid this interval sound fine, keys that include it sound pretty terrible. It’s also worth pointing out that the thirds created by the Pythagorean circle of pure fifths are significantly higher than we are used to today. In fact, they are quite dissonant, which explains why they were used sparingly in music of the medieval period, when the Pythagorean system was the status quo. Despite these difficulties, the Pythagorean tuning system laboured on all the way from classical civilisation, through the Dark Ages, to the early 16th Century. Around this time harmony began to be more important in music, which meant that the compromises of the old tuning system, especially in respect of thirds, needed to be addressed. The answer, for a short while, at least, was the mean tone system, which constructed its intervals around the pure third, resulting in that interval being pleasingly harmonious, albeit at the expense of the fifth, which was now noticeably smaller than a pure fifth. The other downside was the continued existence of wolf intervals. Just intonation creates pure thirds and fifths, then fits the remaining notes in by making the ratios between frequencies of the higher notes in the series progressively smaller. The result is that just intonation is not suitable for modulation between keys on instruments where small adjustments to the tuning on the fly cannot be made. So, the human voice can easily accommodate just intonation; the piano can’t. 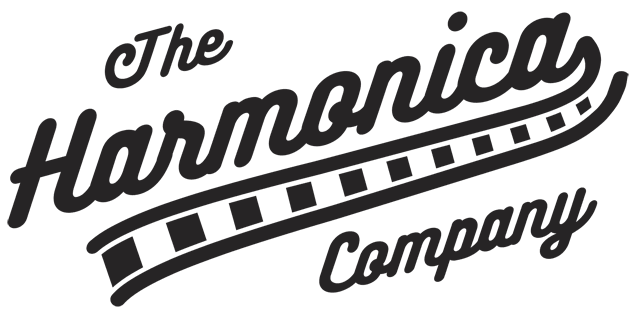 The diatonic harmonica, by its nature, is tuned to a specific key, be it C, F#, A, etc. This could lead you to think that just intonation might be feasible in this context. However, this doesn’t take account of the use of positions other than first, or the need to modulate. Many modern harmonicas, including the current Special 20 and Marine Band, use a modified version of just, called ‘compromised just’. This, as the name suggests, is a compromise tuning that attempts to reconcile the purity of chords provided by just intonation, with the ability to play in different keys and with equal tempered instruments (for example, the piano). Marine Band and Progressive models utilise a compromise tuning that is slightly closer to pure just intonation than the compromise tuning used by MS Series harps, which veer slightly closer to equal temperament. The differences, however, are relatively small. The 10 hole Golden Melody, in comparison, is the only current German made Hohner diatonic harp to be tuned to equal temperament, making it more suited to melody lines than chords. Interestingly, most Japanese diatonic harmonicas, including those from Suzuki and Tombo/Lee Oskar, are also tuned to equal temperament. Seydels, in comparison, use a compromised just tuning that is similar to MS Series harps. Equal temperament simplifies things by making the octave the only pure pure interval. It is then divided into twelve equally spaced half steps, making a major third slightly larger than a pure major third and a major fifth slightly smaller than a pure major fifth. The resultant small differences in intervals relative to pure ones means that, although chords are not ‘pure’ in the same way as they can be in other systems, there are no glaring wolf intervals, and modulation between any key is possible without dissonance. The downside, of course, is that there is a widespread low level of dissonance throughout most of our notes. This would probably sound terrible to pre-18th Century listeners, but to modern day ears the effect has been deadened significantly by equal temperament having been the dominant tuning system for at least the last 150 years; we simply have no point of comparison, and have become used to the tuning. Equal temperament should not be confused with the various well tempered systems that were popular in the 18th Century. 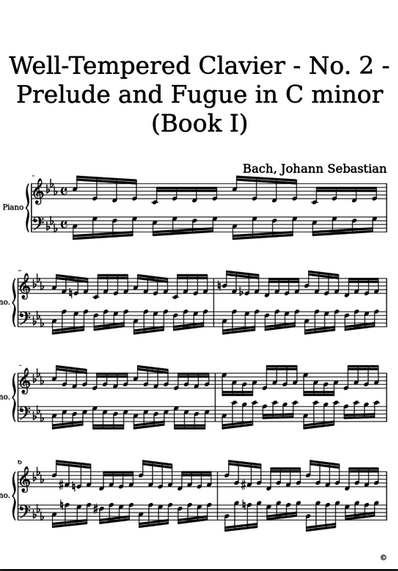 When Bach wrote his collection of pieces entitled The Well Tempered Clavier, he was not referring to an equal tempered instrument. Well temperaments were designed to make every key usable on a single instrument by staying as close to pure intervals as possible without creating any significant wolf intervals. This does not, however, mean that a well tempered harpsichord, for example, will have equal sounding keys; whilst a piece played on all keys on a well tempered instrument will sound pleasing in each one, it will not sound exactly the same. You may have heard the more pretentious variety of musician talk about ‘bright’ keys, like C Major, or ‘triumphant’ ones like D Major. In the 18th Century musicians composed long lists of the supposed attributes of each key, but this was primarily because each key did sound different in a well tempered system. With equal temperament it is hard to envision how a simple relative change in pitch of the key could have any effect on feel of the piece of music, given that the intervals between notes are identical irrespective of the key. When we talk about key colour or feel, we are really just holding on to the legacy of a tuning system that has long been marginalised. The main thing to take home from this post is that small differences in tuning can have an impact on your playing. For most uses, compromised just tuning will allow you to play chords and melodies with no striking issues. If, however, you only ever play single note lines, an equal tempered harmonica, such as the Golden Melody or Lee Oskar, may suit your needs best, especially in band situations. As ever, let us have any questions or comments.